Have you been arrested for DUI in Atlanta? Atlanta DUI cases are handled differently than DUI cases in some jurisdictions. You will need to have an experienced Georgia DUI lawyer review your case as soon as possible after your arrest. There are time deadlines with regards to the suspension of your driver's license that begin the next day after the date of your arrest. 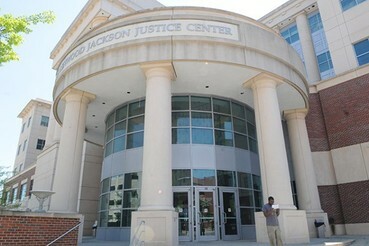 Your first court appearance will typically be in the Atlanta Municipal Court. As in any DUI case in Georgia, there are several important issues to remember. If you have a received a temporary driving permit (DDS Form 1205), you only have 30 days from the date of your arrest to send in the 30-day letter for the purpose of requesting an appeal hearing on the administrative suspension of your license. You may also have the option to request an Ignition Interlock Device Limited Permit. You may have court only days after you are arrested in the City of Atlanta. The Atlanta Municipal Court may give you a reset at your first court appearance to allow you the opportunity to speak with an attorney. The next hearing/hearings is referred to as an inquiry hearing. The purpose of this hearing to to see whether or not you have decided to retain an attorney, and, if so, if the State responded to any discovery requests. Your last or "Final Hearing" will be the final hearing in Atlanta Municipal Court for your DUI case and you will have to appear at this hearing with your attorney. Typically, as with other criminal cases, your options are generally: enter a plea of guilty/not guilty, demand a bench trial in front of the Judge, or bind your case over for a jury trial in the State Court of Fulton County. 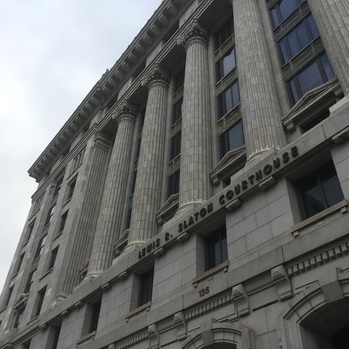 Atlanta Municipal Court does not have jurisdiction over jury trials so if you would like to have a jury trial then your case must be bound over to Fulton County State Court. If you are in court for an Atlanta DUI, you must be present early for court as it generally begins at 8:00A.M. This is a very busy court so traffic and parking time should be considered. There are multiple pay lots and parking garages nearby. You should plan to arrive early for this court. The procedures in this specific court are different from some other courts. 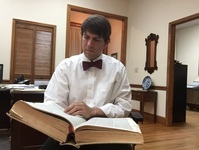 Once an attorney has filed an Entry of Appearance in your case you may not have to appear in court until your case is put on the court calendar for Final Plea. Your attorney must appear at each one of your court appearances but you may not have to be present until your Final Plea date is set. It is important for your attorney to file his/her Entry of Appearance in your case and file for any discovery requests (State's evidence) that he/she deems appropriate. After receiving all of the evidence in your case, you and your attorney will be able to make an informed decision as to how you would like to proceed. It is important to remember that it is always YOUR DECISION as to whether or not you would like to proceed to a trial or enter a plea and close your case. ​Bill Hardman has handled many DUI cases in the Atlanta Municipal Court so he is familiar with the court and its procedures. If you have any questions about your Atlanta DUI case please submit an online inquiry form through our website or call our office for a free consultation.